Summary: Age related neurodegeneration may be delayed by preventing oxidative damage in a few neuron types, researchers report. Image Source: NeuroscienceNews.com image is credited to Ariane Böhm / TUM. Original Research: Open access research in eLife. TUM “Domino Effect: Individual Damaged Neuron Types Cause Neurodegenerative Diseases.” NeuroscienceNews. NeuroscienceNews, 1 March 2018. Loss of the sense of smell is among the first signs of natural aging and neurodegenerative diseases such as Alzheimer’s and Parkinson’s. Cellular and molecular mechanisms promoting this smell loss are not understood. Here, we show that Drosophila melanogaster also loses olfaction before vision with age. Within the olfactory circuit, cholinergic projection neurons show a reduced odor response accompanied by a defect in axonal integrity and reduction in synaptic marker proteins. 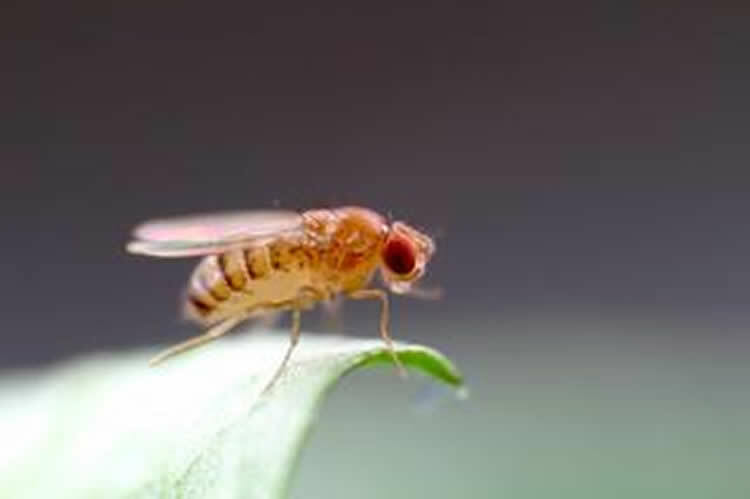 Using behavioral functional screening, we pinpoint that expression of the mitochondrial reactive oxygen scavenger SOD2 in cholinergic projection neurons is necessary and sufficient to prevent smell degeneration in aging flies. Together, our data suggest that oxidative stress induced axonal degeneration in a single class of neurons drives the functional decline of an entire neural network and the behavior it controls. Given the important role of the cholinergic system in neurodegeneration, the fly olfactory system could be a useful model for the identification of drug targets.